Ahmadabad is a great city for students. There's good food at reasonable prices, and many celebrations throughout the year which makes for great environment. Another important reason why I think Ahmadabad is great is because of the fact that the city is safe for women which unfortunately is a rarity now. The cost of living is low which makes it easier on the pocket and the quality of education is excellent. Another rare factor is that the public transport is good and can actually be used by students. The crime rate is low, the healthcare is good, the city is clean and the weather is not bad either. Last but not the least the local people are friendly and helpful. The first good college in the vicinity of Ahmadabad is GNLU. GLNU is in Gandhinagar which is only 25 kms and 45 minutes away from Ahmadabad. The best part about this college is that it offers you four graduation courses to pick from. The legal part of the course (LLB) remains the same for all courses but you get to choose one course from among B.A., B.Com, B.B.A, B.SC and B.S.W courses. No other college offers a Bachelor of Social Work course and that is what makes this college stand out because students who have a clear goal of entering the field of social work can opt for this course. The college takes care of overall well being of the students starting from financial aid and scholarships to health care. Moot courts are an integral part of the curriculum. There is horizontal reservation on the total number of seats barring the seats set aside for foreign nationals and NRIs. Females have 30% seats reserved for them horizontally and Gujarat domicile students have 25% seats reserved horizontally and 3% seats are horizontally reserved for specially abled persons. The first year fee is Rs. 2,13,600 for general category students. The first year fee is Rs. 1,88,600 for SC and ST category students. On the whole GNLU is a great place to be because of all the above reasons and most importantly because the placements are pretty good too. This is another law college in Ahmedabad which offers admissions based on the CLAT score. The first thing one notices about this college is that it is very serene and green and allows one to focus both on academics and extracurricular. There are modern sports facilities, a well stocked library, classrooms with audio-visual aids and projectors, a modern and fully equipped auditorium, a computer centre and even an arts gallery. The teaching method does not just include classroom teaching but also moot courts and the mediation clinic. Students help provide free legal aid to remote villages. Client counseling is another activity in which students from Nirma University excel. Another area in which this college excels is in the research field. Certain areas of research are law and governance, criminal law, ADR, IPR, Human rights, Social justice and environment law. This helps students improve their communication skills, their presentation skills, their researching ability as well their quenches their thirst for knowledge and makes them experts in their chosen stream. These research activities prepares them for what is to come in the real world because they get to see the implementation process of various organizations. Students also get to intern in district courts, High courts, the Supreme Court and in NGOs. The total seats available in the law course are 180 out of which 120 seats are for the BA.LLB program and 60 for B.Com LLB. Out of these seats 15% seats are reserved for NRIs and NRI sponsored category and 15% supernumerary seats for persons of Indian origin and foreign nationals. These supernumerary seats also include seats for children of Indian workers in Gulf countries-South East Asia. All supernumerary seats will be filled by a different application procedure which will be notified by the University. The total fee for all categories except NRIs and foreign nationals is Rs. 2,15,400 yearly. The tuition fee for all categories except NRIs and foreign nationals is Rs 1,88,000 and for NRI category is USD 7000 yearly. This includes all refundable deposits, university fee, reading material charges, internship and placement fee, and student activity fee. The college is a great choice and if you are wondering about placements then worry not because the college sees its students placed in NGOs, corporate houses, law firms and even public sector undertakings. Read the post to know the best law colleges in Ahmedabad. 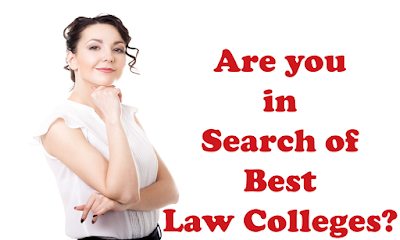 You can refer the list of colleges when you want to study law in Ahmadabad.